How could I not share this delightfully fun speaker with you?! This Mai Coffee Cup speaker is perfect for your iPhone, iPod or any MP3. The speaker is charged through your USB port, smaller MP3 players can fit inside. Why not add some fun to your office or desk?! 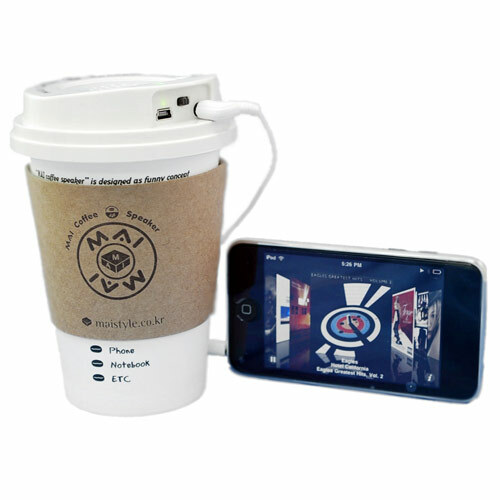 Check out the Mai Coffee Cup Speaker at Buy.com to read more about it and purchase one.